It’s time we reevaluated an old maxim for a new era: with great power comes great coffee making abilities. Nobody and nothing knows that to be true more so than Nespresso and the Essenza Mini. Though it may be Nespresso’s smallest machine to date, its intuitive features pack more than enough of a punch to deliver a coffee experience above and beyond the realm of the ordinary, without sacrificing on style or space. Someone else who is no stranger to wielding impressively powerful equipment is Thor Bergquist, one of the effervescent entrepreneurs behind the bar at PS40. Helmed by Bergquist and Michael Chiem (ex-Lobo Plantation), PS-40 is Sydney’s award-winning first soda factory crafting cocktails from their bespoke range of all-natural PS-Sodas, with each concocted and bottled in-house using some fairly impressive equipment of their own. 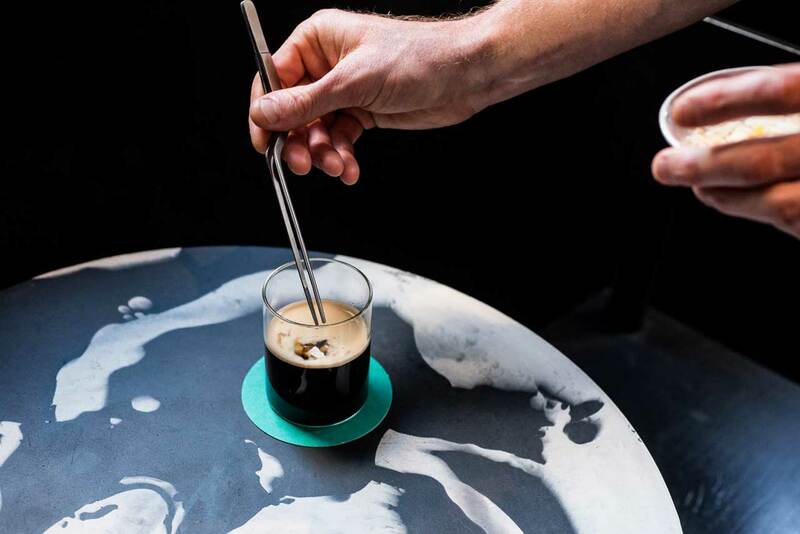 Borrowing from Tiki culture’s classic combination of rum and coconut, The Hot Nespresso Buttered Rum binds those classic components together through the addition of Nespresso’s Dharkan Grand Cru. Heated and whipped gently to aerate the cocktail and give it a smooth mouthfeel, the finished drink makes for a warming, rich and perhaps unexpected addition to the repertoire of underrepresented hot cocktails. And while it’s perfect for the coming cool months, there’s no reason why you can’t enjoy it on (far off) summer nights. This one is truly a cocktail for all hours and seasons. Build the contents of the drink in an old fashioned glass and whisk gently to melt the coconut butter.